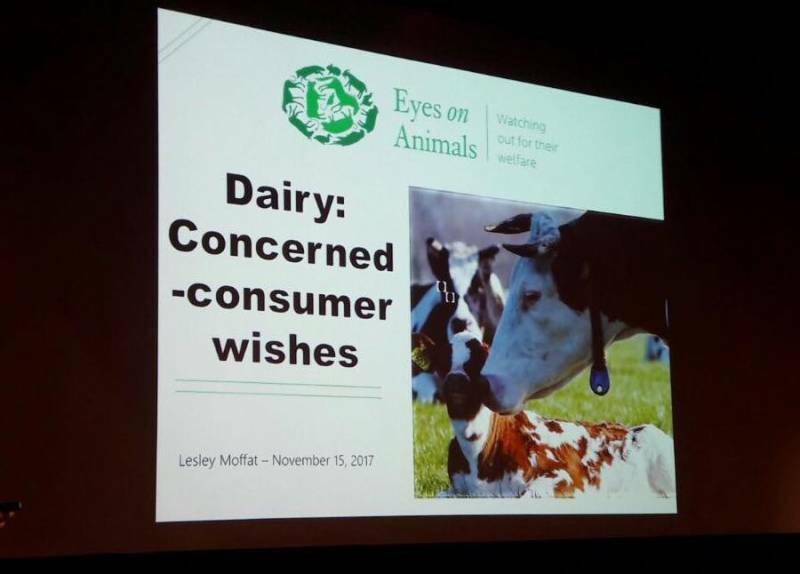 Eyes on Animals was invited by Lely to give a talk to 70 large dairy farmers from all over the world (Russia, Canada, USA, Japan, Denmark, Estonia, Germany and Poland). We were asked to give a talk about consumers ‘ concerns regarding the welfare of animals in the dairy industry. 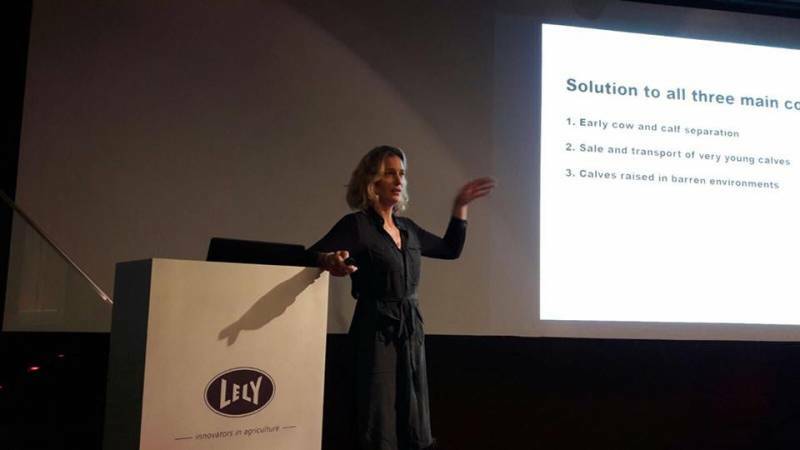 We decided to focus our talk on the need for the dairy sector to take more responsibility for the fate and quality of life of all the calves they produce but do not keep. We encouraged keeping calves with the moms in the herd but also suggested middle steps like group housing of calves and keeping them longer on the dairy farm to avoid transporting them when still so young and fragile. 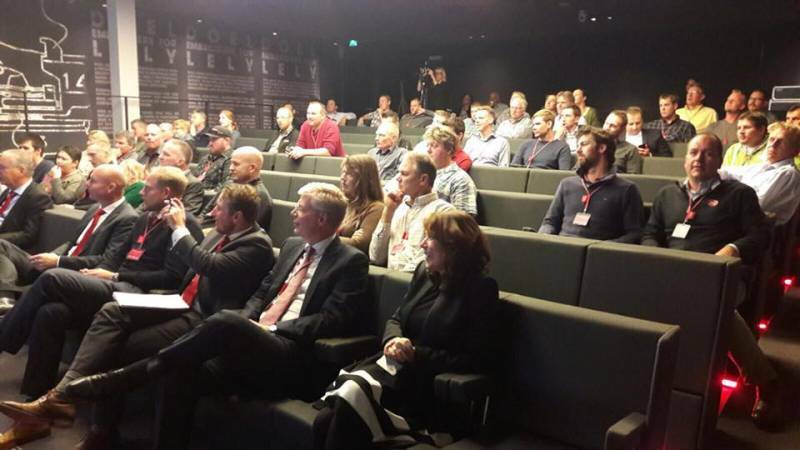 We would like to thank Lely for the invitation and all the farmers for the open discussion held after our talk.